Enter the Settings section of your community. Begin typing the name or email address of this member you want to designate as an admin, and click the Select Permissions button. Under the Permissions button drop down menu choose the role you'd like to give each manager and click Save at the right of the field. Once you have added your team member's email address, they will get an email notification to the email that you have added. There, they will click through to the platform to add their password. NOTE: If you get a message about upgrading, it means that you’ve reached the manager count limit of your current plan. 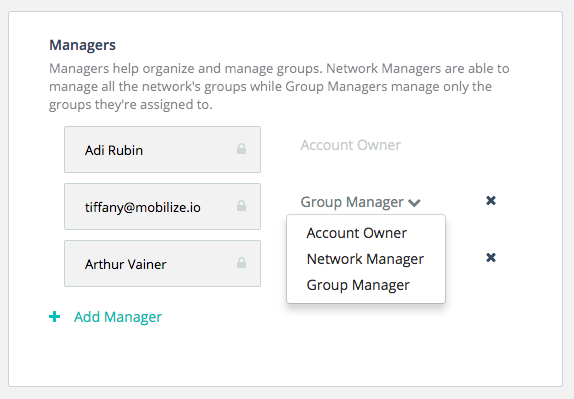 As your team grows, your Account Owner can upgrade your plan to have more managers. 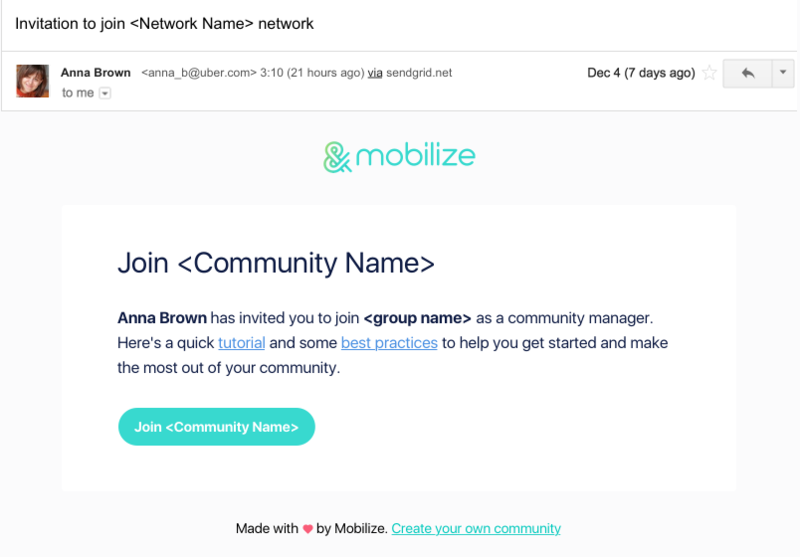 Your invited manager will get an email to let them know they have been invited to be a manager in your community. Here are directions to add a Group Manager to a specific group. This can be someone who will only be a Group Manager with limited access to that group only, or it can be an existing Community Manager who wants to be shown to members in that group as the manager.